We’ve been managing WordPress sites for a while now and have come across the need for pricing for multiple sites. Many are agencies and some are business with multiple sites, either way, the more sites you manage, the more you save. We’ve started with some features, like a site audit and branded emails, we think will be really helpful for Agencies, but we’re still refining everything and looking for feedback. New sites on the Agency plans will get a site audit. This will help agencies know where the site stands with regards to basic SEO, Plugins, and Themes. We recommend what plugins should be removed or replaced with newer versions. Check for basic SEO stuff, like site maps, Open Graph and Twitter card tags, and Title & Description tags. 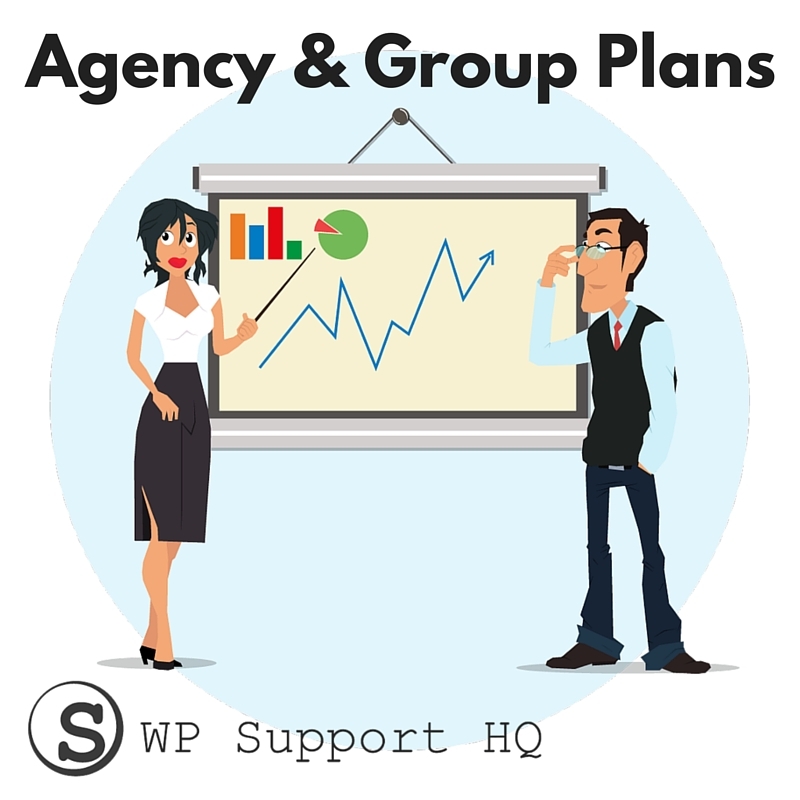 We let you know when we’ve updated your site and branded emails will allow agencies to benefit from WP Support HQ being a value added service. Why should agencies worry about their client’s WordPress site? The biggest reason we see is that all the branding, SEO, and marketing won’t help a site that’s now up and running! We do everything to stop attacks before they happen and have daily backups for those Zero Day exploits that do happen. WordPress is a great platform that’s widely used, which makes it a great target too. Another big reason is agencies aren’t WordPress support shops, but that stuff comes up all the time and often the agency is first in line for questions. With WP Support HQ, they can just forward on to us and we’ll get it sorted out! Of course we still have individual management plans and still love recommendations! We’ve simplified our plans so that, with the exception of the number of sites, everyone gets the same support and management. Also, we’ve included optional hosting with no additional charge. If you want us to host it, great! If you already have an awesome hosting company you love, great! As always, we’re trying to create the best service we can, so let us know what we’re missing!